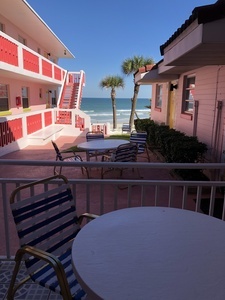 Max Occupancy: 6 Spacious OCEANFRONT 1 BEDROOM POOLSIDE SUITES. 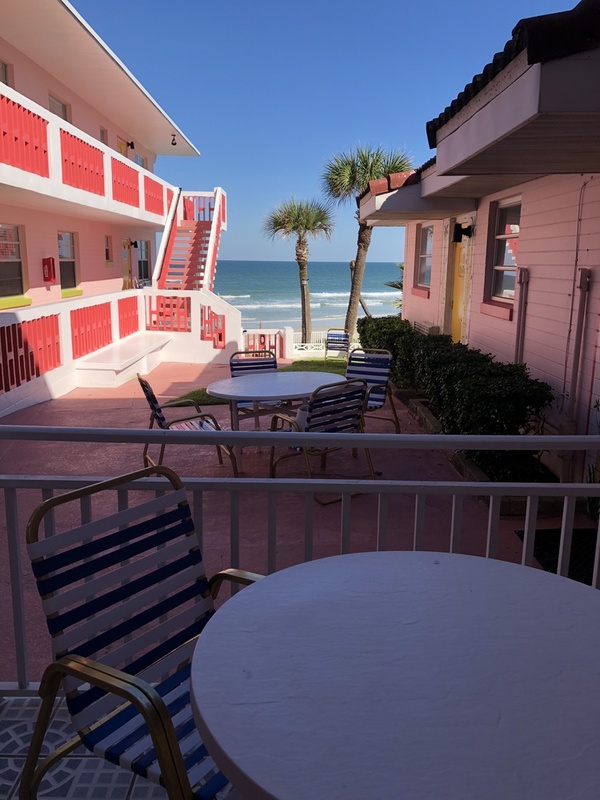 Direct, OceanFRONT Views. 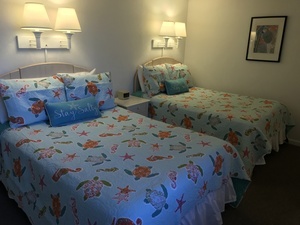 Each of these Suites has its own PRIVATE PATIO OR BALCONY OVERLOOKING THE POOL AND OCEAN. 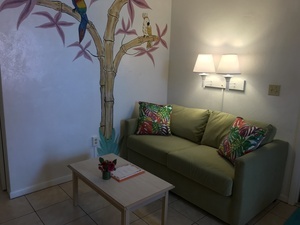 Each Room is Uniquely Decorated. 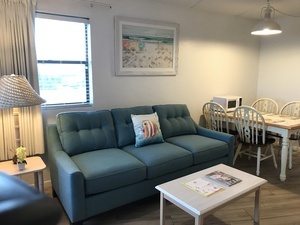 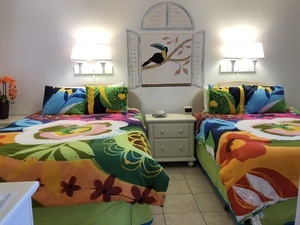 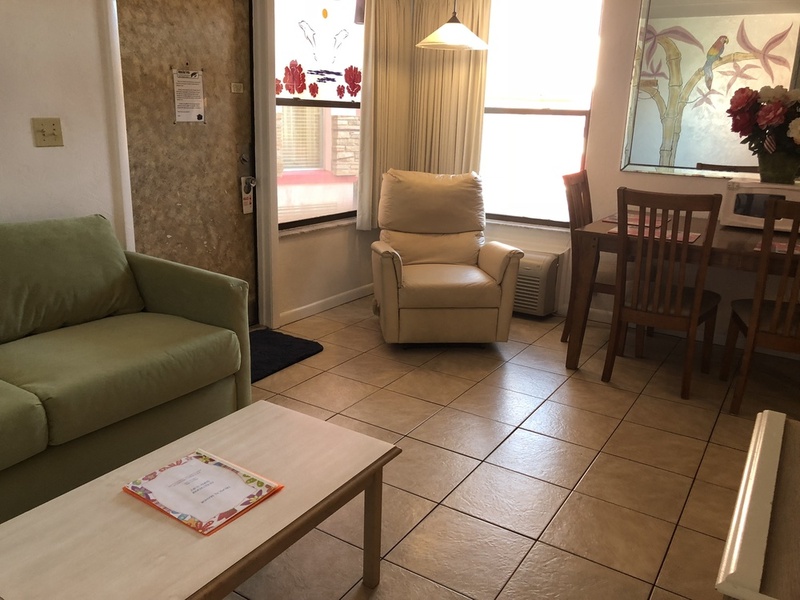 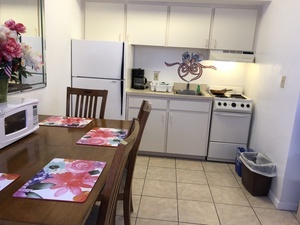 All these rooms were Updated with Brand New Bedroom Furniture in November, 2018. The layout of these rooms varies slightly, but each Suite includes a Separate Bedroom with 2 Double Beds, Living Room with a Full-Size Sleeper Sofa, Full Kitchen, and 1 Full Bathroom with Tub and Shower. 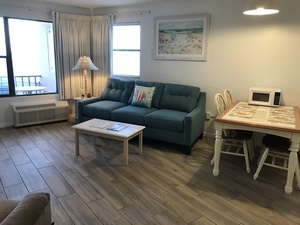 Photos showing a Blue Couch in the Living Room and Blue Bedspreads in the Bedroom are of Suite #48 located on the 2nd floor with Private Balcony. 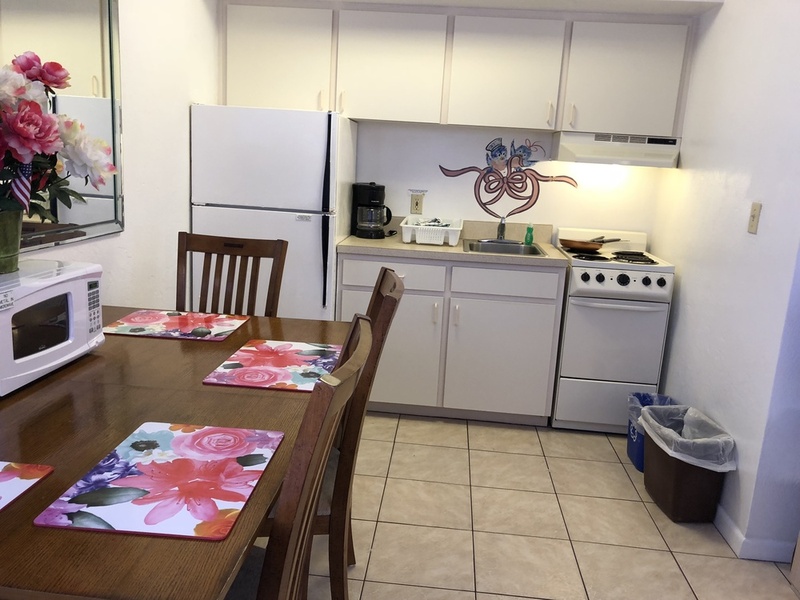 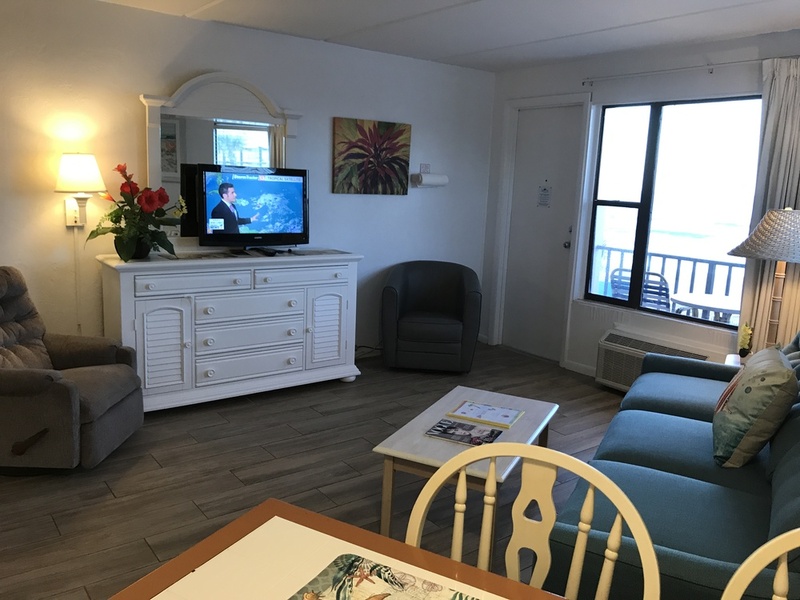 The photos showing a Green Couch in the Living Room, Very Bright and Colorful Bedspreads, and the Private OceanFront Patio with a White Railing are of Suite #40 located on the 1st floor. We will assign Whichever Suite is Available when you place your reservation.